Olive Tree Genealogy Blog: Good News! Finding Your Roots Returns Jan 5/16! An internal review found that Gates “violated PBS standards” by, among other things, not informing executives at PBS or producing station WNET about Affleck’s request to censor the show’s genealogical research into his ancestors. After an internal review, an additional researcher/fact-checker, another genealogist and an expert in DNA-based genealogical research have been added. In the new season of Finding Your Roots Gates traces the ancestral trails of 28 new guests including Maya Rudolph, Richard Branson, Soledad O’Brien, Bill Hader, Julianne Moore, Keenen Ivory Wayans, Senator John McCain, Norman Lear, Shonda Rhimes, and more. 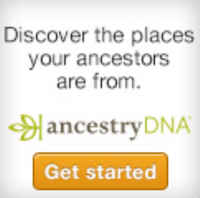 Major corporate support for the third season of Finding Your Roots is provided by Ancestry.com , Johnson & Johnson, POM and the Ford Motor Company. I am so happy that the show will continue! I'm glad too. What was needed to fix this error was pretty simple and it sounds like they've made the right adjustments. Ben Affleck's mistake should serve as a teaching moment for others, both those who are subjects on shows like this and those who host them. If it was up to me this show would be on every week, would run 90 minutes, and would begin to teach everyone more about the vlaue of archives and just what DNA testing really can and can't do. Millions of Americans spend vast amounts of time learning the stats of their favorite athletes and teams, which is entirely artificial entertainment; an entertaining approach to genealogy would allow more of us to learn our real attachments to history, and thus to the present.